So the name of this blog is Home Is Possible, because it was part of my fun experiment in making things at home (yogurt, canned goods, whatever), doing home repair (we recently fixed our dryer! Amazing! ), homeschooling, working at home… basically, doing all sorts of things at home! I like being home. It’s nice. On the other hand, I don’t want to always be at home. Last year, however, ended up being way too much at home, mostly due to health issues. Stupid health issues. So this year is dedicated to making sure we get out of the house a lot! We have so much to make up for after last year. So far it’s been wildly successful, despite the crazy winter weather that keeps polar vortexing and snowing all over us. The Boy is back in gym, The Girl is continuing ballet. We’ve managed to go to more than half of our Thursday co-op days so far. We’ve gone to birthday parties, a maple sugar festival, and a park. We made a snow fort, many snow people, and went sledding. We’ve even been to our new library four times in two months! 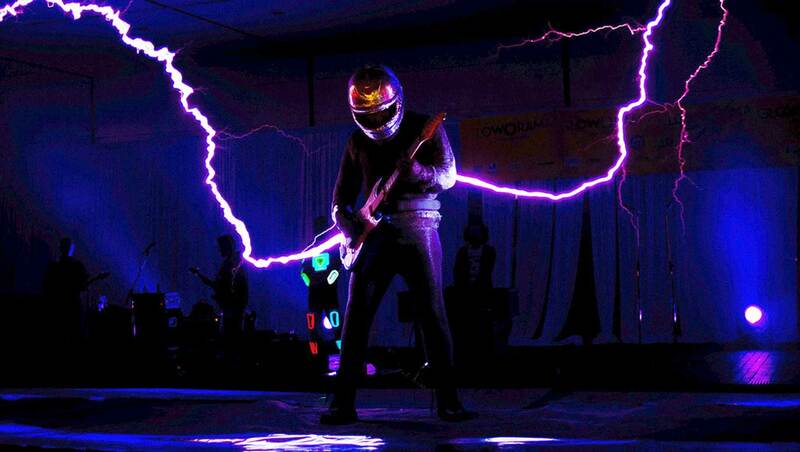 We even saw musical lightning strike a man in chain armor playing Black Sabbath’s Iron Man on a tesla coil-powered guitar (ArcAttack). I even went somewhere (bum bum bum) all by myself for *social* reasons instead of some sort of errand. But the health issues raise their stupid face again. So it’s back to doctors. Last year’s word was “courage”. This year is “persevere”. And the plan is to Get Out Of The House. A lot. Previous PostIce Skate DecorationsNext PostHello World!